After my experience with Love Food Hate Waste, it really got me thinking about food (yes, yes, even more than before!). 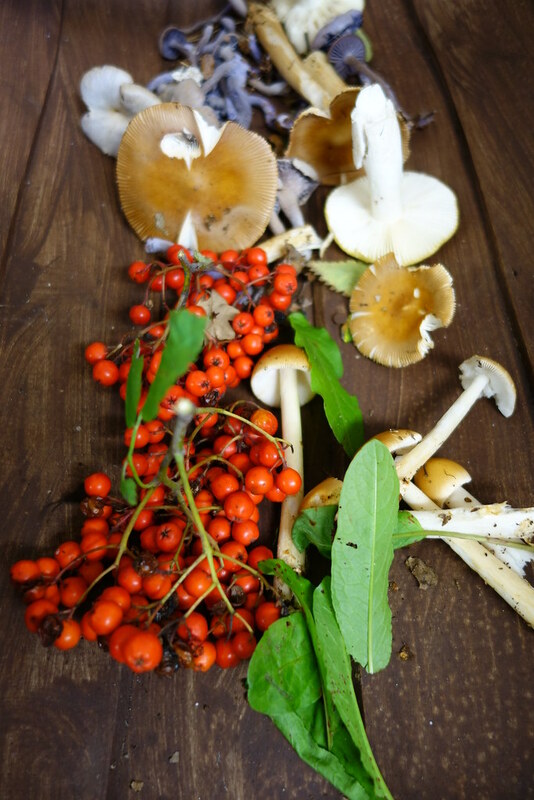 Not just about where it goes after it leaves our kitchens, but where we source it – so the timing was absolutely perfect for a foraging course with Forest Foragers. A two-hour drive away from London, we gathered in a little hall in the village of Witley for a day of learning, exploring and eating – all sourced locally from the woodlands around us. Peter, Marilyn, and Clifford run the Forest Foragers course, a comprehensive day that teaches you about the foragable (and edible!) world around us in the UK. Peter and Clifford really know their stuff, and it was fascinating to get some pointers from them around the basics of foraging. 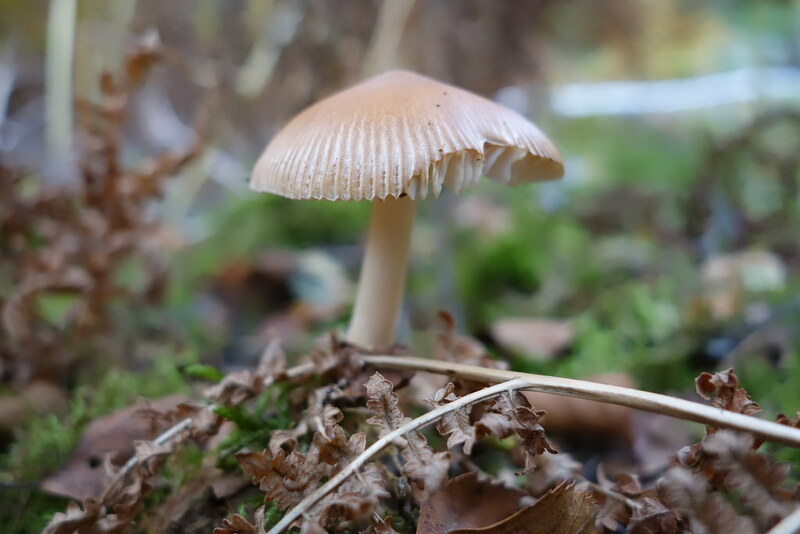 It’s really important that you know the history of the land you are foraging from, as mushrooms really soak up the nutrients from their environment. 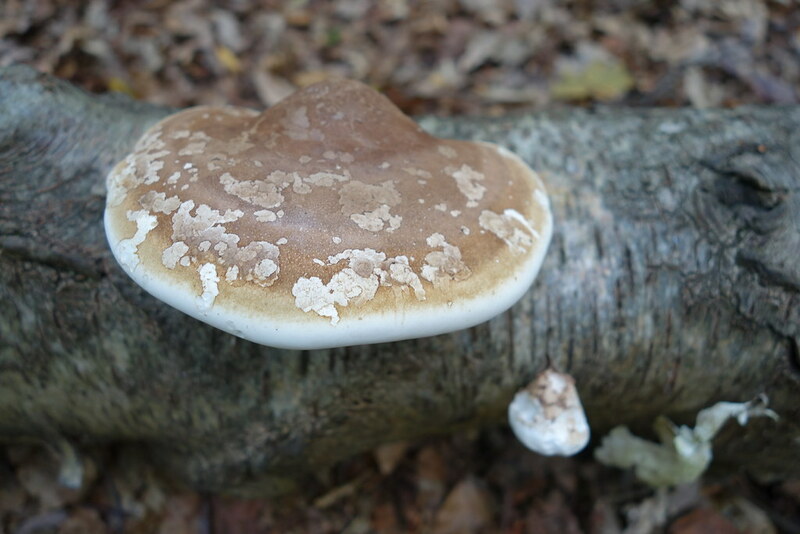 They strongly recommend foraging from ancient woodlands, and not country parks or in the city. 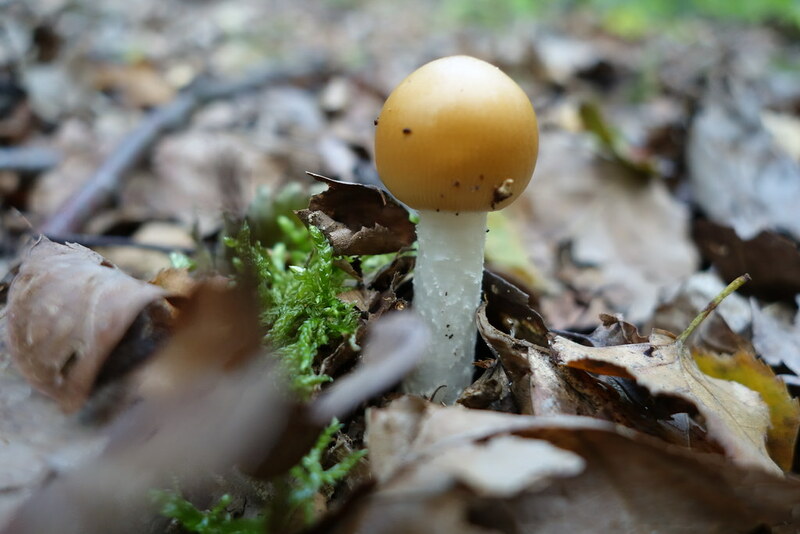 While the variety of mushroom might be edible, the toxins in the environment might make it deadly – the biggest case of mushroom-related deaths actually occurred after Chernobyl, when the locals foraged mushrooms had been completely safe to consume before the nuclear disaster. Lunch was served, and they were so accommodating with my gluten-free request. The delicious lunch consisted of mushroom soup (with foraged mushrooms) as well as a salad with freshly picked sorrel and a vinaigrette dressing. I was absolutely gutted I wasn’t able to have the mushroom tart, which was made with caramelized onions, but apparently it was delicious – and it smelled great, too! After lunch we grabbed our baskets and drove towards the woods. 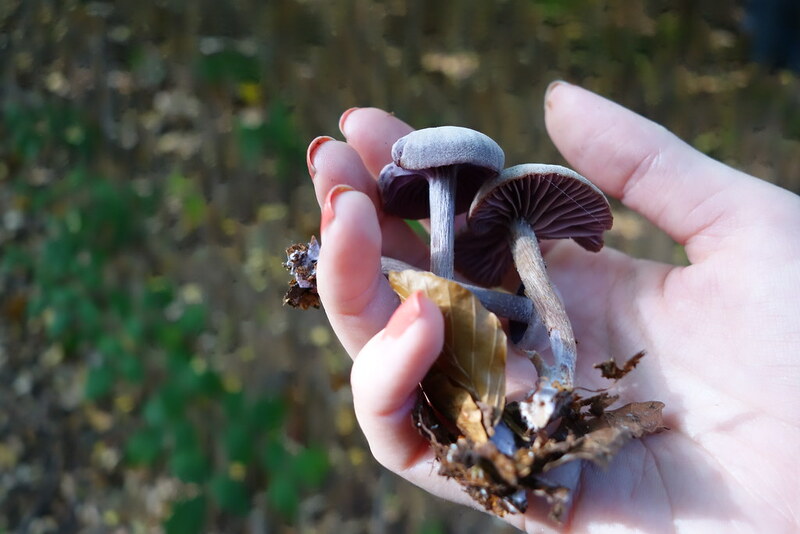 It hadn’t rained in a few days, which meant there weren’t as many mushrooms out as usual – but we ended up with an impressive haul of amethyst deceivers, charcoal burners and bay boletus. 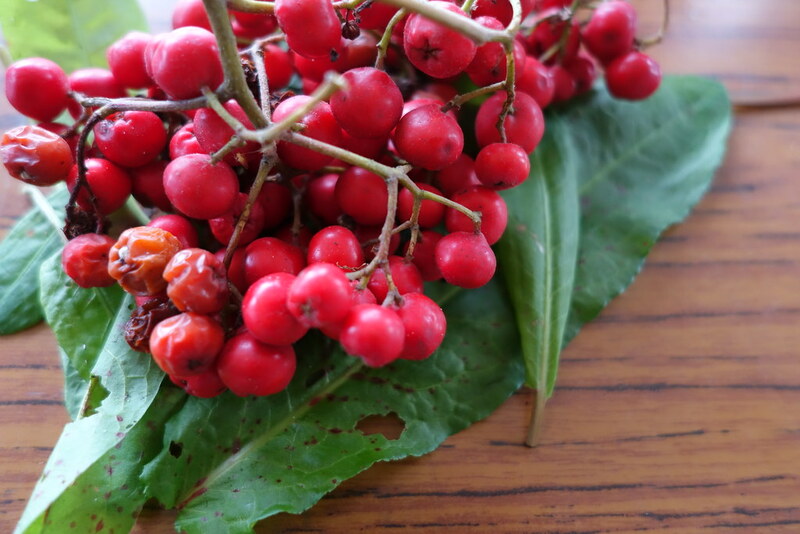 We even picked up some hawthorn berries, and ended up with a massive basket of freshly foraged food. We arrived back at the haul and split into two groups – first, we had a cooking demonstration with Peter, and sampled some of our finds with a little salted butter. It was absolutely incredible – I have never had such amazing flavours, and it was all so fresh. 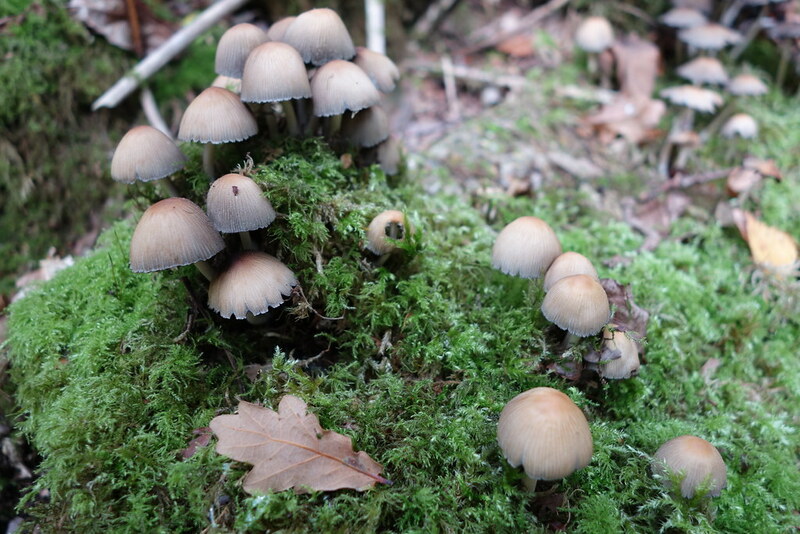 We then tipped out our finds and combed through them carefully with Clifford, who is a professional mycologist. 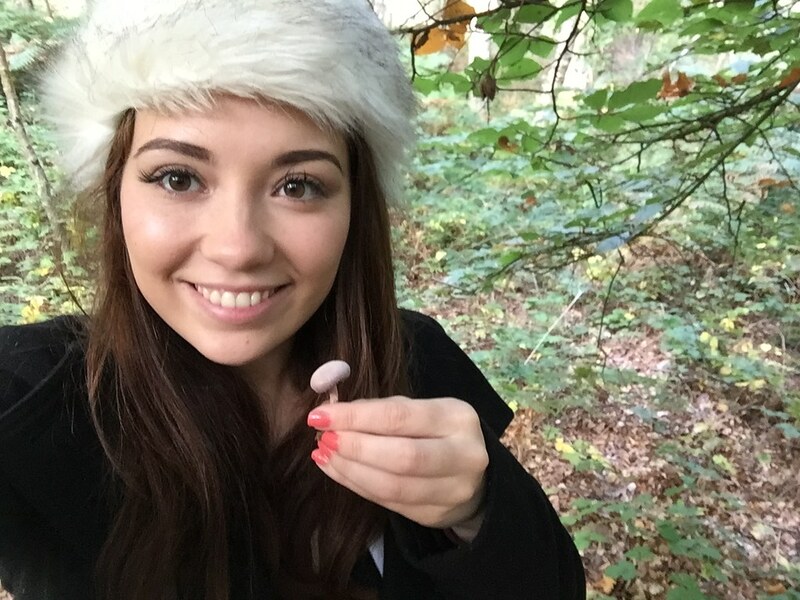 This put my mind at ease, as you can get accidentally collect nasty deadly mushrooms really quite easily. Luckily we didn’t have any in ours, but some of the others in the group picked some up by accident, so it was really great that we could check! The whole course took a whole day, until 5, and it was honestly the best fun I’ve had in a long time – getting out in the country, eating and learning – I was in heaven. Once we got home, my boyfriend and I immediately whipped up the most incredible risotto we’ve ever had – onions, garlic, white wine, rice and our mushrooms – simple, but insanely delicious. 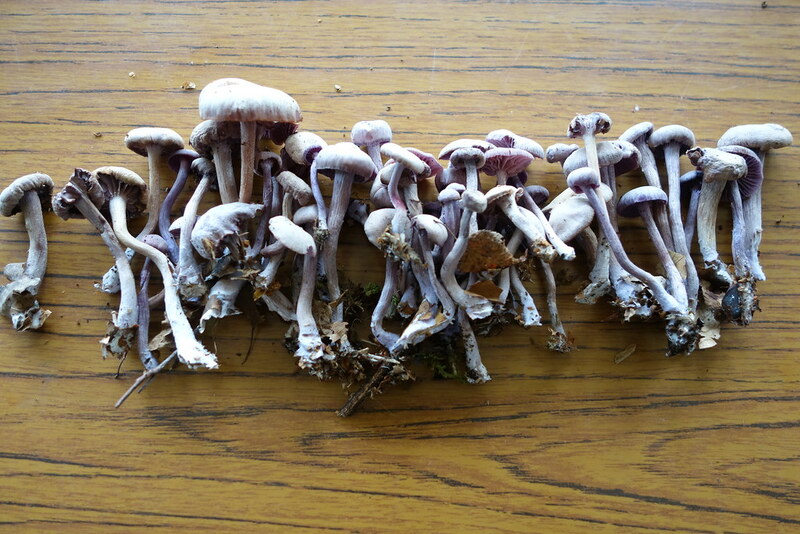 We also had enough left over for lunch the next day, and mushrooms on toast for breakfast too! 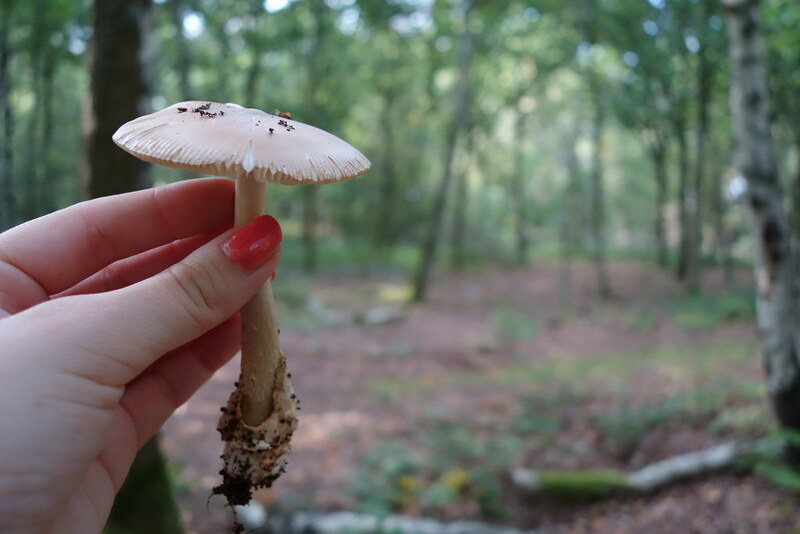 We went to the course in Surrey by car, but Forest Foragers are running courses until the end of the year in Essex too, which is really easy to get to from London by public transport. It’s honestly one of the most amazing days out I’ve had in ages, and a really great way to learn a valuable skill! 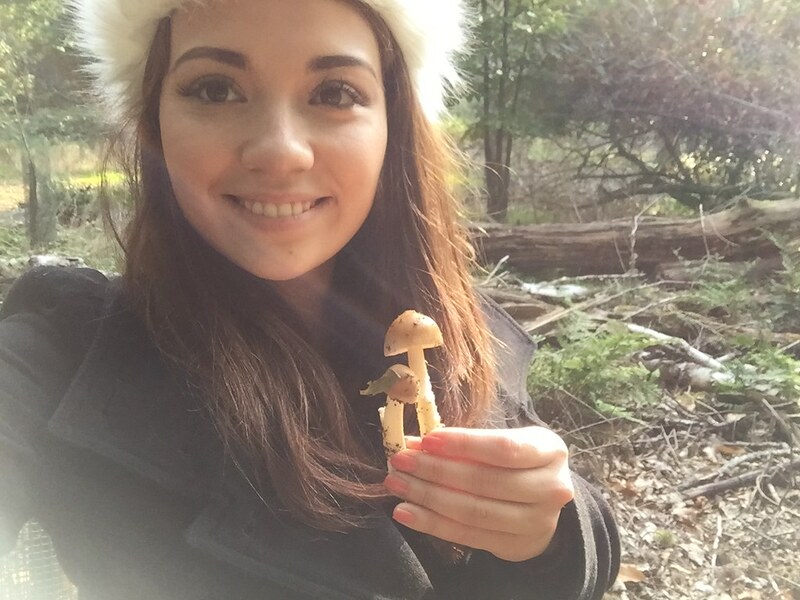 Thank you so much to Forest Foragers for the incredible day – I had an amazing time! They still have some courses on until the end of the year, which you can find on their website here. 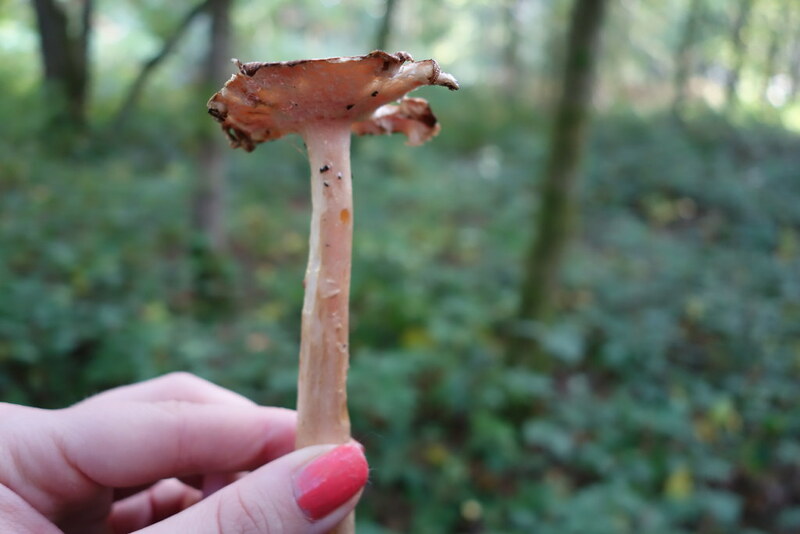 Have you ever foraged a meal? Be sure to comment below, and don’t forget to follow me on Twitter, Facebook or Instagram! This looks like such a fun day out, love your images too. This looks fun. 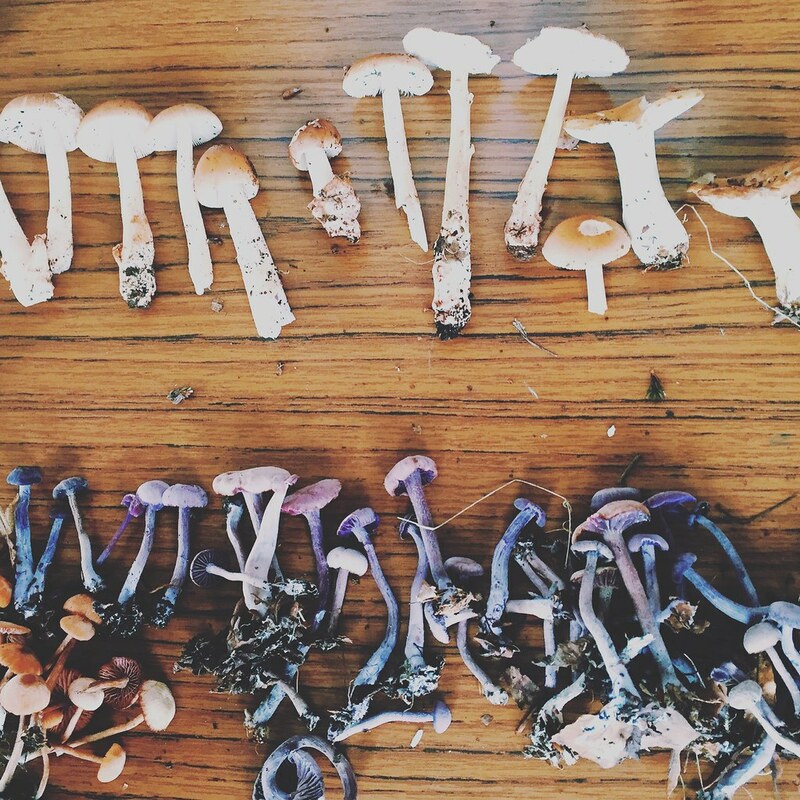 I forage for fruit but foraging for mushrooms absolutely terrifies me so love the idea of doing this with guidance. lovely pictures 🙂 Looked like you enjoyed it!